Brooch is a lovely adornment. I normally wear this if my tops is all plain and I simply want to highlight it. 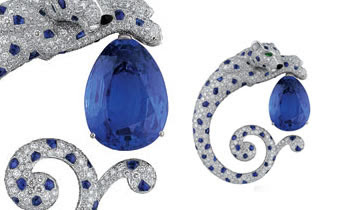 But, do check out this most expensive brooch made from 18 karat white gold and platinum. It is engrossed with 868 brilliant diamonds with sapphires and emeralds to boost these. This is indeed quite lovely but I don't it is worth the use. I would rather keep it locked behind safe. I wonder how much is the insurance for this kind of treasure. There could be quotes for this just like auto insurance quote that one could check from the net.